Polyrhachis Ant is one of the adaptogenic superstars of Chinese tonic herbalism. Classically considered one of the “forever young foods” incorporated into daily diets, Polyrhachis Ant is widely consumed in Asia as a dietary supplement for its many known benefits. 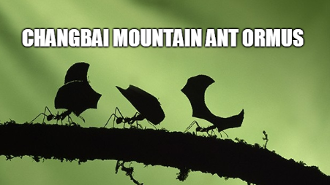 This Mountain Ant is famous for supporting many important life functions and for its replenishing tonic properties ofrestoring Qi, increasing vitality and nourishing the blood. Polyrhachis Ant is also one of the few truly powerful adaptogenic substances of the earth, helping the body to naturally adapt to change and common stress as efficiently as possible. Polyrhachis Ant is one of the few ‘herbs’ that gives quick Qi to the brain and body, while simultaneously restoring its original source, the Kidney Yin, creating its supertonic reputation for both Qi and Jing. Polyrhachis Ant regulates Yin and Yang throughout the body and supports the regulatory functions of the immune system. The thymus gland is an important organ of the immune system and stimulates the production and replication of lymphocytes. Recent research demonstrates that Polyrhachis Ant can support the functions of the thymus gland. Polyrhachis Ant is a source of zinc; it has the highest known content among all living organisms. Being a critical element in healthy human sexual function, zinc is known as the ‘harmonizing’ element in Japan, for its support of ‘harmonious relations’ between couples. Studies have shown that regular consumption of Polyrhachis Ant provides useable zinc. While supporting the balance and delivery of hormones within the body, Ant is NOT itself a source of hormones and can be safely consumed by both men and women, young and old. Of over 400 known species of ants that have been studied in China alone, Polyrhachis vicina is the only species of Ant approved by the China Ministry of Public Health as a diet supplement. Polyrhachis vicina Ant contains more than 8 kinds of amino acids, crucial to the upkeep of a robust, resilient body. Polyrhachis Ant contains essential vitamins B1, B2, B12, D and E. As much as 67% of Polyrhachis vicina Ant’s dry weight is protein, and Polyrhachis Ant contains more than 20 trace elements such as magnesium, calcium, phosphorus, iron and selenium, as well as many essential enzymes. Polyrhachis Ant contains bioavailable ATP, providing energy directly and rapidly to the human body through intracellular transfer, and superoxide dismutase (SOD), a potent anti-oxidant enzyme. Polyrhachis Ant has shown to support liver functions. 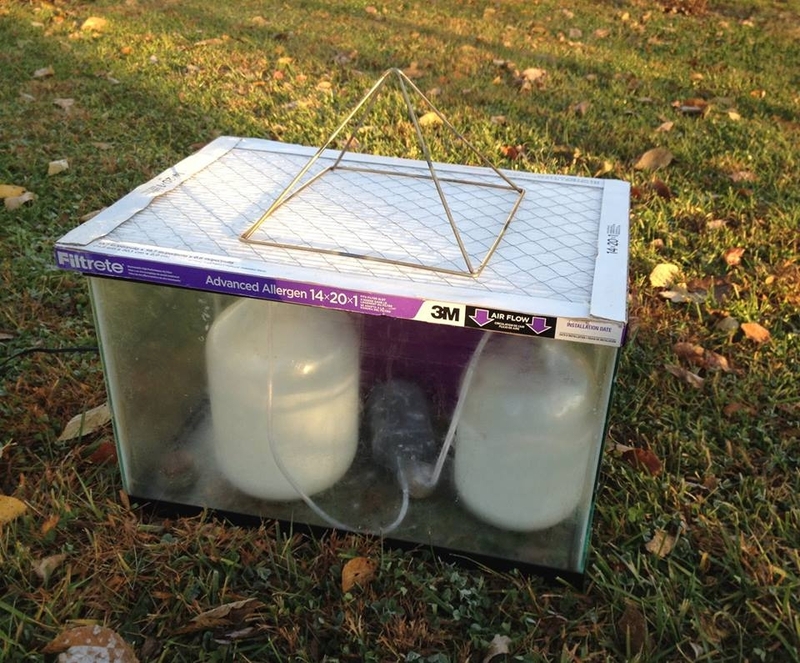 Ant has also been shown to support important normal immune functions that help maintain health. As a renowned Jing Yin tonic, Polyrhachis Ant strengthens the entire Kidney and adrenal system, supporting the musculoskeletal system, while also supporting sexual function. In Asia, Mountain Ant is considered an aphrodisiac (“Ginseng is the king of herbs, but Mountain Ant is the herb of kings”). Ant supports the nervous system, supports digestive functions and supports the natural moment-to-moment detoxifying functions throughout the body. Polyrhachis Ant is known to increase the production of DNA and RNA within the cell itself. A unique set of aldehyde compounds found in Polyrhachis Ant is believed to contribute to the Ant’s unparalleled physical strength, known to be able to lift up to 100 times their own weight. This aldehyde provides the great tonic action for the human body. 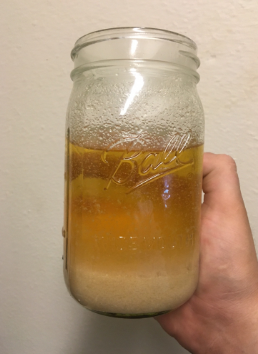 In order to make this Ormus I added Changbai Mountain Ant powder to warm harmonically structured water and mixed it all up. Then I added Dead Sea Salt and Natron (or Milk of Magnesia) to make this via the Egyptian Wet Method, no lye. After rinsing it 3 times it is now ready to enjoy.